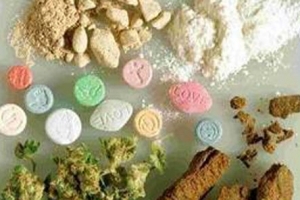 Production, trafficking and illegal possession of drugs or psychotropic substances. Pursuant to Article 73 of the Decree of Republic's President (No 309/1990), any person who, without any authorization, farms, produces, manufactures, extracts, refines, sells, offers, distributes, transports, provides for others, send or delivery for any purpose narcotic or psychotropic substances is punished with imprisonment from six to twenty years and a fine ranging from € 26,000 to € 260,000. When these actions are mild considering the means, the modalities, the circumstances, or the quality and quantity of the substances, the penalties will be the imprisonment from one to six years and a fine from € 3,000 to € 26,000. When three or more persons are associated for the purpose of committing several drug crimes, who promotes, establishes, manages, organizes or finances the association, is punished by imprisonment for not less than twenty years. Who participates in the association is punished by imprisonment for not less than ten years. If the organization is armed, penalty will be the imprisonment from twelve to twenty-four years.